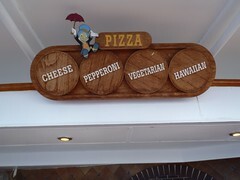 We only had the pizza once or twice on the cruise. The slices are rather small, but you can ask for the amount you want. 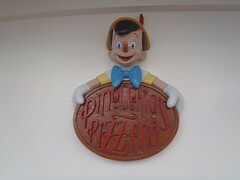 The pizza is not bad, but it is not all that great either. Also, we found it easily got cold since it was cold outside and they didn't were often only just warm when served. Definitely, does not work out well for getting and carrying back to the cabin to eat.